Back-to-the-Land in Brazil: We Go (coco)Nuts! 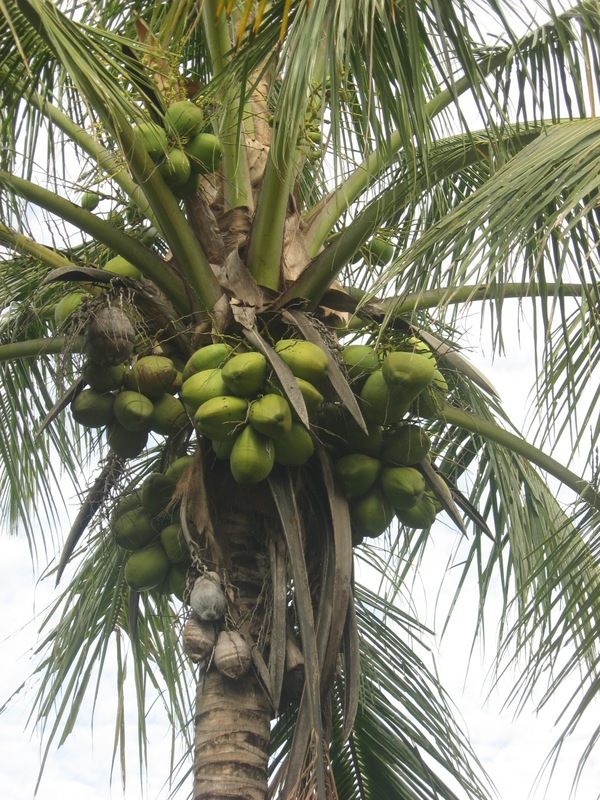 What if you have more coconuts than you can drink their water? Yes! 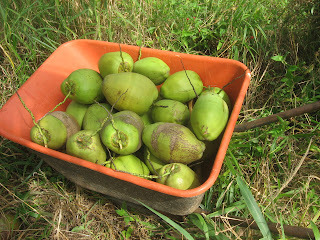 We primarily plant coconuts for the water it stores in a young green fruit. And...what if the coconuts are becoming riper and the water inside is drying out, while its pulp is getting thicker? The only solution is to use ripe pulp to make sweets and baked goods. 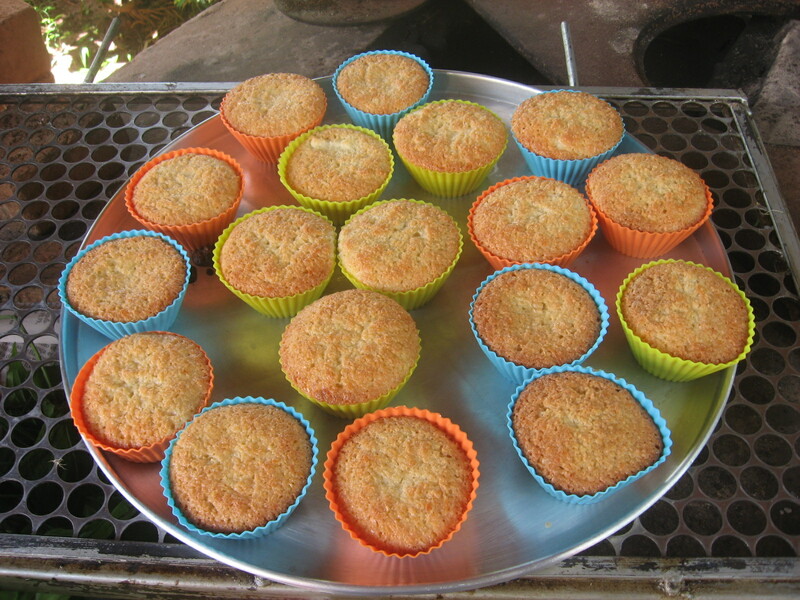 This one is called "queijadinha" - cheese cake, but it is actually made with grated coconut and just a little bit of cheese. Beat the above ingredients item by item, until all incorporated. Bake at 375 F.
Now, the country cooking will throw all ingredients, and perhaps omitting the liquid, and leaving out flour and baking powder, for they prime the real taste of coconut.